I would like to announce a call of testing for the 0.3.11 version of the unofficial SimpleScreenRecorder snap. 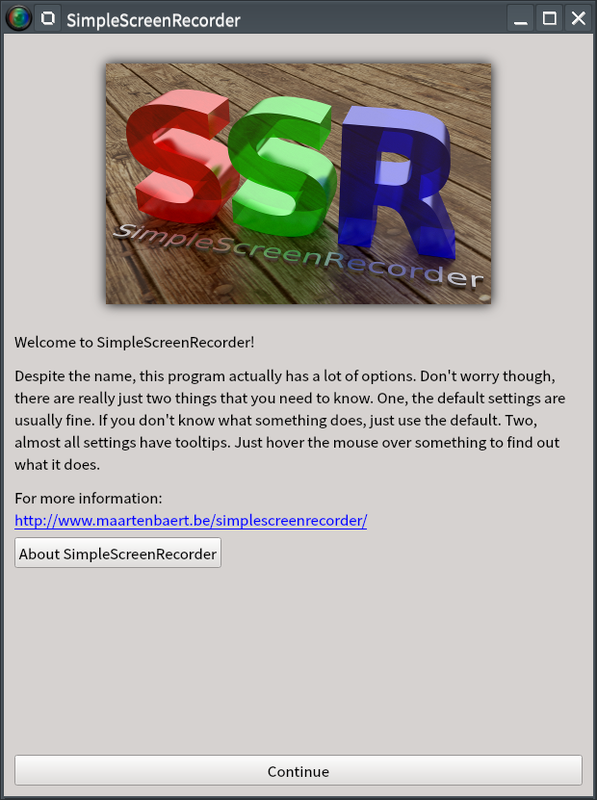 SimpleScreenRecorder is a feature-rich screen recorder. Can you properly record a video using the application? (If you have a non AMD64 device) can you run the application without issue on non-AMD64 architecture devices? I just installed the snap on Ubuntu 18.10 and had no issues, the snap installed correctly, I recorded a couple of videos and watched them after. Works fine here in Ubuntu Budgie 18.10. Recorded a couple of videoes and played back with no problems using the default settings. I did not get any sound however, coz I’m using pulseaudio and not alsa. Dunno if you can connect pulseaudio interface to the snap to get it working? Dunno if you can connect pulseaudio interface to the snap to get it working? The pulseaudio interface is connected by default. Can you record audio normally with other pulseaudio applications? When I selected source: “monitor of built-in audio digital stereo (IEC958)” from the dropdown, the sound recording worked perfectly! That rather looks like a bug as it is actually a virtual monitor device of an audio output device.